Home Skin care Dark Spots Treatment At Home? Dark spots are also known as age spots,sun spots,liver spots and brown spots usually occurs on the areas of your skin that get a lot of exposure to ultraviolet radiation from the sun. What Are Dark Spots On Face? When akin is exposed to the sun,it escalates production of melanin,a pigment that is found in the top layer of your skin which can cluster and develop into dark spots.Dark spots on your skin develop on the sun exposed areas such as face,hands,arms,legs,neck,shoulders and chest. The main cause of dark spots are too much sun exposure and aging.Other causes may be weak liver,stress,pregnancy or vitamin deficiency. Best Natural Home Remedies To Get Rid Of Dark Spots? 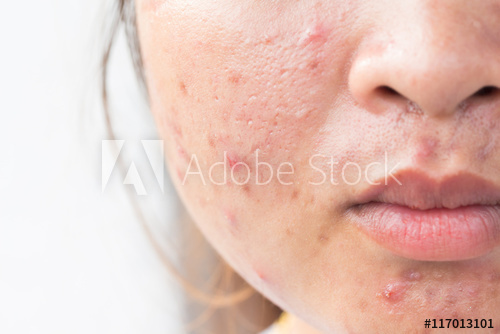 Dark spots are harmless but many people consider them as unsightly and they look for the dark spots removal remedies.Here i will share some best natural home remedies for getting rid of dark spots on face,hands,arms,neck,chest and shoulder. As we all know that the lemon juice acts as a natural bleaching agent whether it is your dark spots,dark underarms and even dark neck.Lemon juice contains citric acid that can break down melanin pigment in your skin to make it lighter and reducing the appearance of dark spots within a month. Methods To Remove Dark Spots With Lemon Juice? Take a lemon and cut it into two pieces. Rub a slice onto your dark spots for about 20-25 minutes. Then rinse off with the clean and cool water. Repeat this procedure twice a day regularly until you will get the desired result. Take a fresh lemon and squeeze out its juice. And apply it directly on the affected area and leave it for about half an hour. Then rinse it off with the cool and clean water . Repeat this procedure twice a day regularly for two months to see positive results. As we all know that aloe vera has skin healing properties so it makes your skin hydrated and fresh.It also helps skin regeneration.Thus Aloe Vera is the best natural homemade treatment for getting rid of dark spots on hands,legs,face,neck,underarms and other body parts especially when caused by the sun exposure. Method For Applying Aloe Vera For Dark Spots Treatment. Take an aloe vera leave and take out fresh gel. Gently scrub fresh Aloe Vera gel on the affected area of your skin. Then leave it for half an hour.Let it sit completely. Now, rinse it off with the cool and clean water. Repeat this procedure twice a day for a month to get the positive or desired result. The lactic acid present in the buttermilk helps exfoliate the skin to remove dark spots without drying your skin.It also makes your skin to stay refreshed and lighter in tone. Take necessary amount of buttermilk in a bowl and apply it on the dark spots using a cotton pad or ball and leave it for 15-20 minutes.Then rinse it off with the clean and cold water.Follow this procedure twice a day regularly for 2-3 months to see the desired or positive result. Take 3-4 teaspoon of butter milk and 2 teaspoon of tomato juice,mix both the ingredients gently and apply the mixture on the dark spots or the affected area.Then leave it for 25-30 minutes and then rinse it off with the clean and cold water.Repeat or follow this procedure twice a day regularly for 2 months to see the gradual change. Using castor oil is one of the easiest way to get rid of dark spots on skin.Due to its antioxidant and powerful healing property castor oil can lighten the skin thus help getting rid of dark spots. Take an necessary amount of castor oil and gently massage the affected area for few minutes. Then leave it for fer hours let it sit completely on your skin. Then wash your skin with the clean and cold water. Follow this procedure at least once a day to fade out the dark spots and make your skin even tone. Get rid of oily skin?